The Cement Barn has a new Web Site!! Check it Out! The Cement Barn is proud of be launching our new Online Site! It has been a while since we were able to last update our web page and we have added a lot of new items. We are excited to begin a New Year in 2017! We encourage all of our customers to keep us in mind as the Spring approaches and you begin to get your landscape spruced up. No matter how large or small your landscaping job may be, The Cement Barn has what you will need to help get it completed. We have a fresh load of Long Leaf Pine Straw for your flower beds and shrubbery just waiting for you! We have several new designs of Stepping Stones added to our inventory to create a walkway or patio. 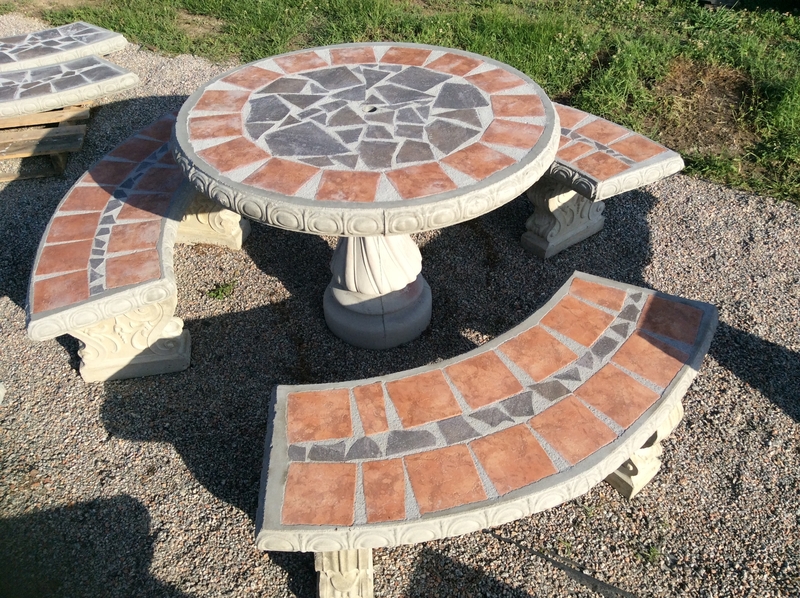 We have many new styles of Concrete Patio Tables which have Tile Inlay and Tile Mosaics. We can create a custom table set to match your home or patio with a particular color also! We will also have several new Fountains and Statues coming out for the upcoming Spring of 2017, so stay up to date with us online and check out our new products!